Pre-built Connectors offer a preconfigured means of smooth, comprehensive integration through harmonized representational state transfer (REST) APIs and universal resource identifiers (URIs) with normalized authentication, error handling, search, pagination, and bulk support regardless of the underlying architecture of the third-party applications. To consume the pre-built connectors, you would have tp simply select any of the available connectors from our Connectors Catalog, connect to your third-party application tenant and authenticate using your third-party credentials. 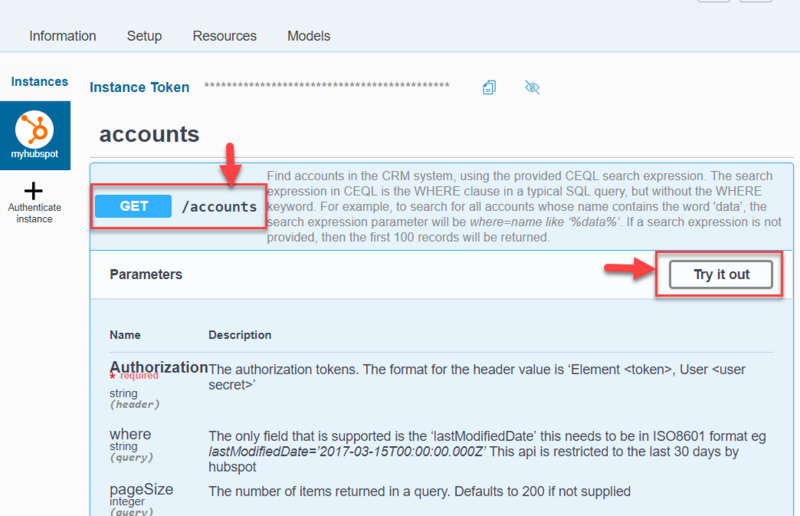 Test or Sandbox tenant in HubSpot or any other third-party application that you would like to connect to from SAP Cloud Platform Open Connectors. 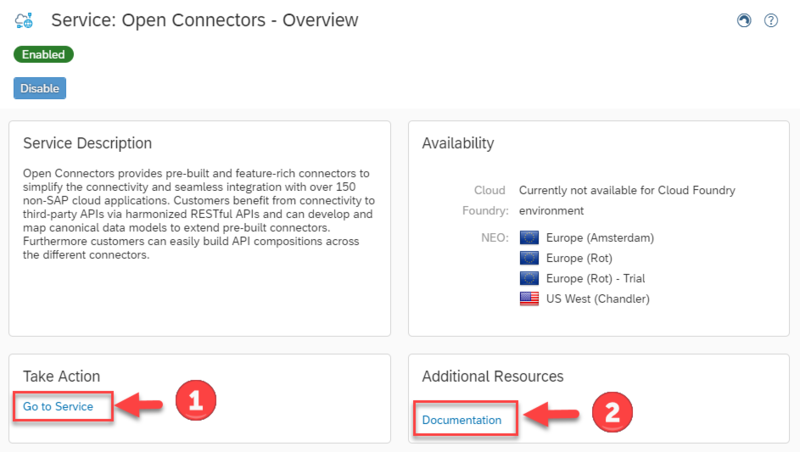 In this section, steps to seamlessly and securely connect to the third-party cloud applications via SAP Cloud Platform Open Connectors has been covered. SAP Cloud Platform Open Connectors is available for test, explore and try out in SAP Cloud Platform trial. 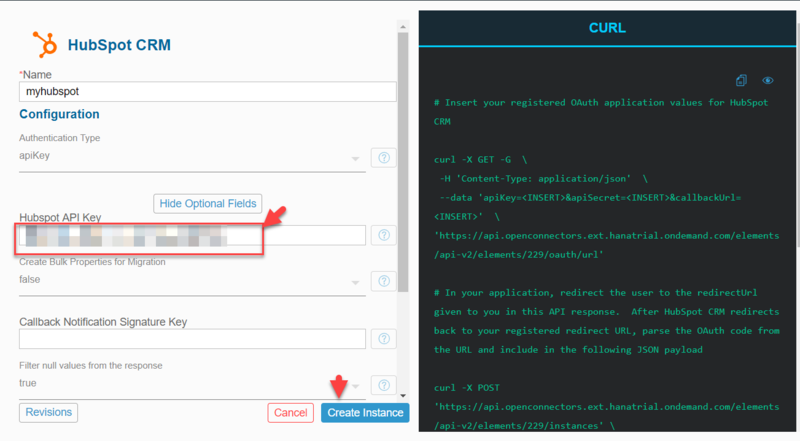 If you have not enabled SAP Cloud Platform Open Connectors in your trial tenant, refer this blog to enable it. 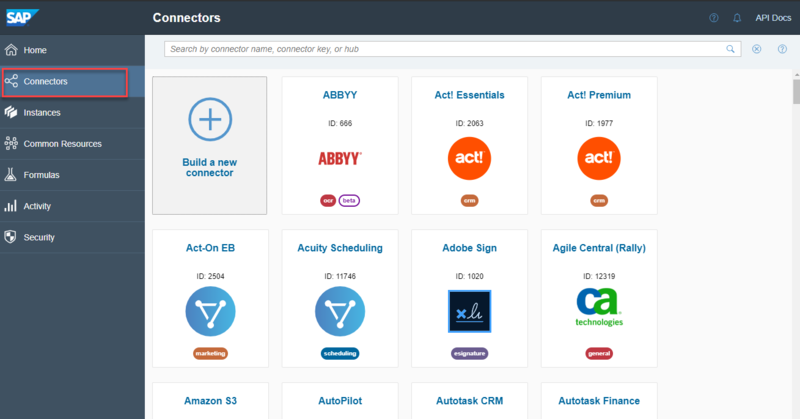 In the search bar, type in CRM to view all connectors for third-party CRM hub. 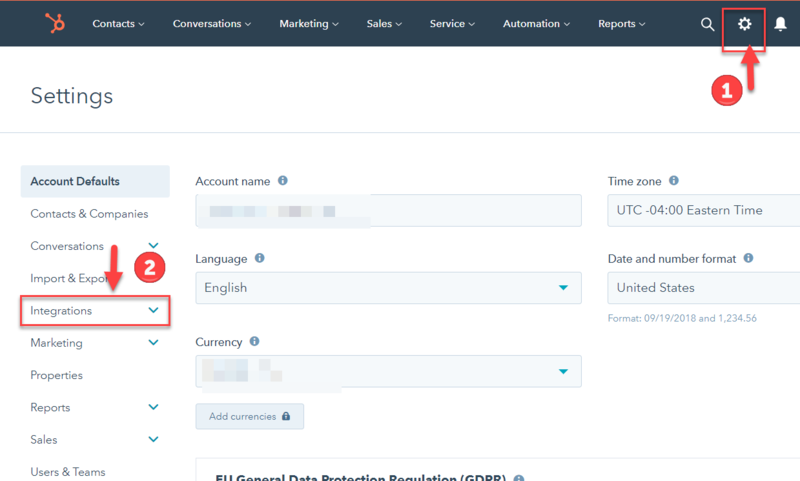 In this exercise, since HubSpot is used and therefore select the HubSpot CRM connectors. You can also explore and try out third-party connectors of your choice from the available connectors catalog. Hover over the HubSpot CRM and select the option Authenticate to connect to your own HubSpot tenant. 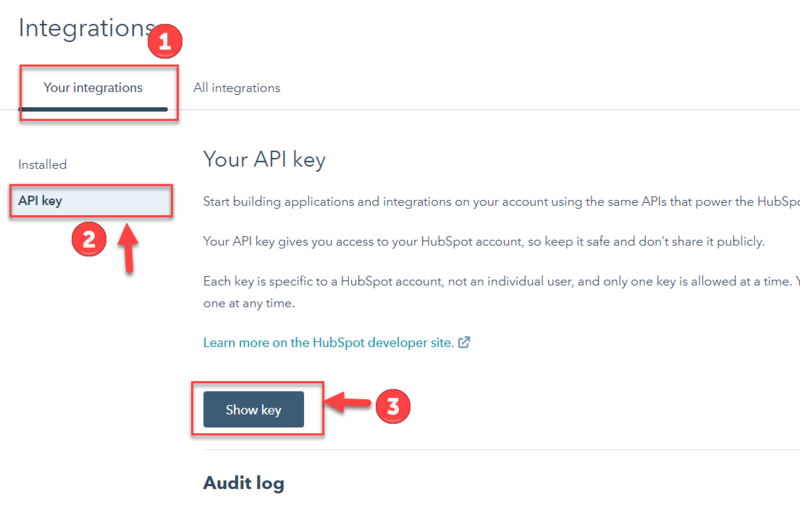 Enter your HubSpot API Key and then click on Create Instance. This will now create an authenticated connector instance to your own HubSpot tenant. Note:- In case you have selected an OAuth authentication based flow, then on click of Create Instance button you would be re-directed to your third-party OAuth token provider for an OAuth authorization code flow. 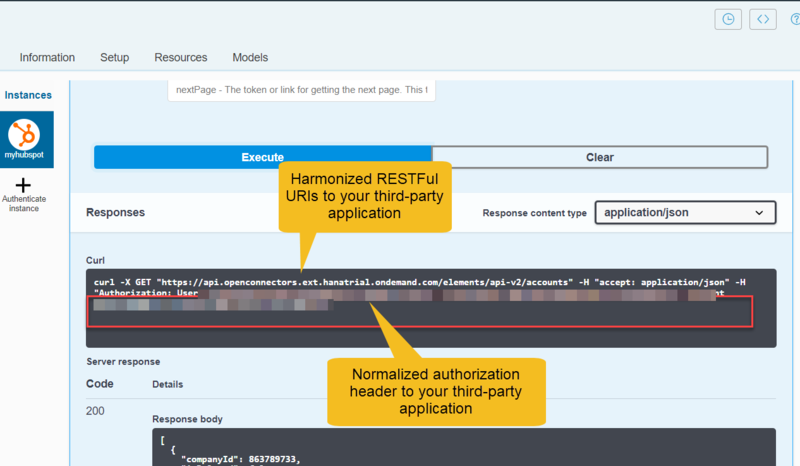 The harmonized URIs and authentication headers can be used to connect securely to your third-party application via SAP Cloud Platform from any application that supports connecting to an HTTP endpoints. 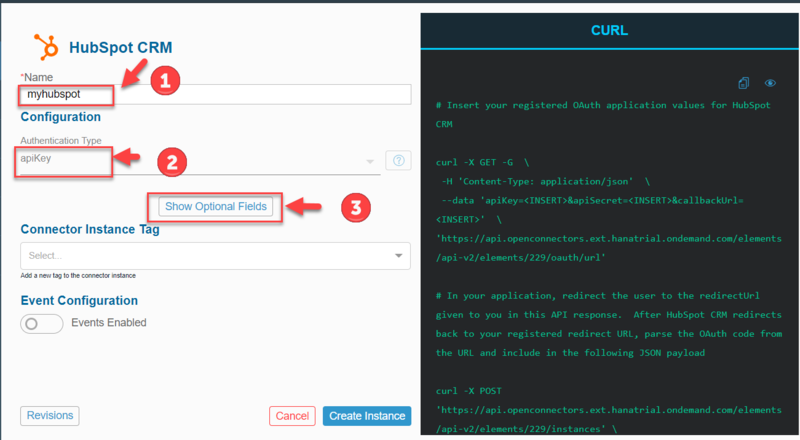 In the next part of this blog series, steps to connect to third-party connectors from a Fiori application would be showcased.